Cathi Yeatts began her 25-year career with LexisNexis in 1992 as an entry level sales assistant for the company’s sales representatives for government, law and business customers in the Washington, D.C. region. In 1995, she became the office and facilities manager for the regional office, then was promoted in 1998 to a customer-facing role as Research Consultant, training customers in federal law enforcement and entitlement agencies how to use public records for investigative research. Ms. Yeatts was made a Federal Sales Representative in 2000, serving all non-law enforcement agencies, including the IRS, Social Security Administration, and the Centers for Medicare and Medicaid Services. In her seven years as a sales representative, Ms. Yeatts was named Account Manager of the Year and twice was a Circle of Excellence winner. She moved from individual contributor to a managerial role in 2006, when she was named Regional Sales Manager, Federal; her team of seven and covered all federal sales. In 2009, she was promoted to Manager, Sales Operations, responsible for overseeing the sales process, working with sales representatives as the liaison to existing customers, maintaining customer satisfaction and improving the customer experience. Her expanded portfolio included all risk operations for federal, state and local customers. She leveraged the company’s commercial customer experience program to establish a similar program for government customers. Ms. Yeatts was named Director, Sales Operations in 2012, responsible for executing the sales operating strategy and execution for the government market. In 2015, Ms. Yeatts stood up the Program Management organization to direct and manage all state and local and federal customer engagement. 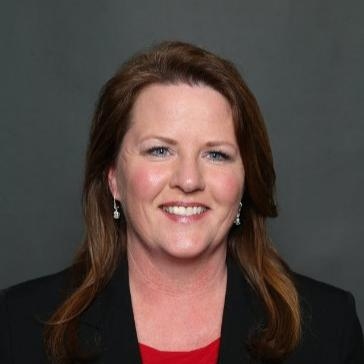 She is currently Senior Director, Sales Operations and Program Management and now has eight managers reporting to her directly and runs both the Sales Operations and Program Management components.